Incepted in the year1995, Viva Plast Pvt Ltdis a prominentManufacturer and Wholesalerof top quality ofAC Wash Covers. 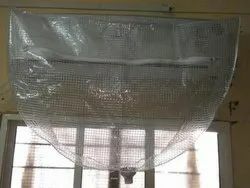 Incepted in the year 1995, Viva Plast Pvt Ltd is a prominent Manufacturer and Wholesaler of top quality of AC Cover, AC Wash Covers, Water Bottle Cover, Carry Bag, Washing Machine Covers, Table Cover and many more. Delivery Time: Depend on order qty.